Industrial fishing vessels off the coasts of West Africa kill thousands of endangered marine animals every year. A representative of the Turtle Foundation attended a conference in Senegal dealing with this urgent problem. There are possibilities existing to significantly reduce the devastating bycatch – but the political will is lacking. What sounds like a bad joke is, unfortunately, bitter reality: year after year, sea turtles nesting on the beaches of Boavista are rescued from poachers by our committed staff and volunteers – and then killed just a few kilometres off the coast by EU-subsidised industrial fishing vessels. 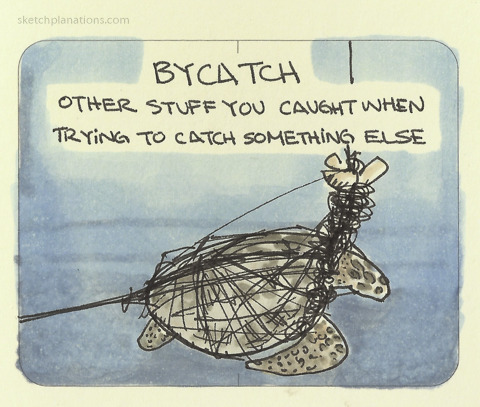 “Bycatch” is the almost cynical name for this phenomenon. Bycatch, that sounds like a triviality, no big deal. In fact, the number of animals that are caught “by the way” in fishing nets and on longlines and die during the catch or on board of the ships, is enormous. Even if the bycatch figures of individual boats per day are carefully calculated carefully*, tens of thousands of sea turtles could be killed in this way every year in West African waters. This is added by countless killed sea birds, dolphins, and other marine life. We were particularly shocked by the involvement of the European Union in this scandal – and that EU rules on fishing bycatch are much more careless than those of South Africa or the United States, for example. 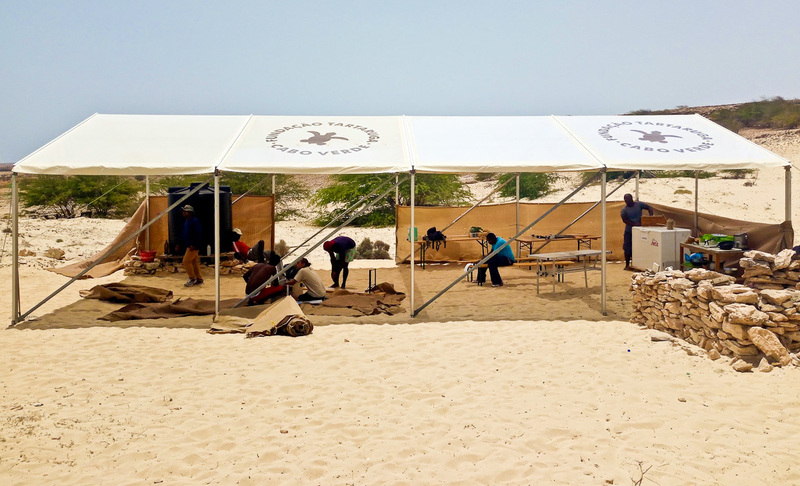 A visit to a specialist conference in Somone, Senegal, to which the Turtle Foundation was invited at the end of May 2018, provided in-depth insights into this problem. 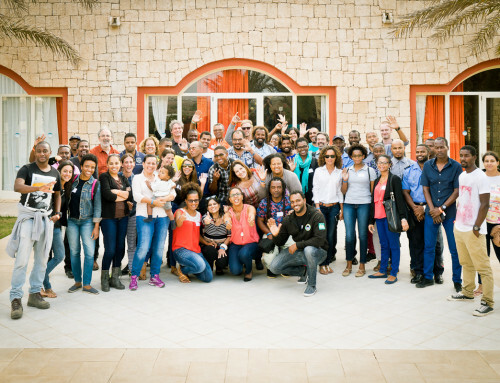 “Minimising bycatch of seabirds and sea turtles in West African industrial fisheries” was the motto of the conference, to which the MAVA Foundation and BirdLife International had invited in the course of an ongoing activity addressing this topic. 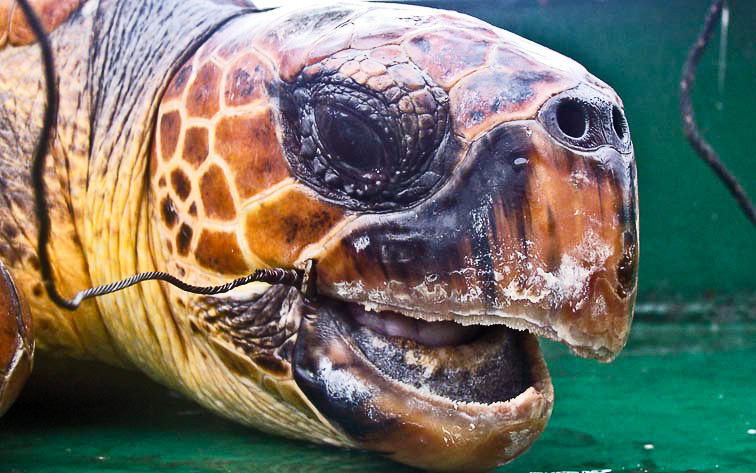 According to current knowledge, bycatch of sea birds and turtles now represents the greatest threat to these animals. The project focuses on industrial fisheries operating in the waters of Mauritania, Senegal, Gambia, Guinea-Bissau, Guinea, Sierra Leone and Cape Verde – and asks for concrete measures to mitigate this urgent problem. The target is to reduce bycatch by 80% until 2022. Unfortunately, according to the current political situation, this does not seem realistic at all. Just tightening the current fisheries regulations alone would already significantly improve the situation. If we know which boats, types of nets and longline sets, and other circumstances have particularly high bycatch rates, fishing methods could be rigorously adapted. Educating local fishermen and training independent observers on the ground would be just two examples of a possible catalogue of measures. One major problem is that reliable data and information that would precisely allow to judge the extend of the threat are hardly available. How many industrial fishing boats are on the water, exactly where, in which country they are registered, which areas they cover, which fishing nets, longline fishing procedures, and other methods they use, and how big the actual bycatch per boat, is not yet uniformly recorded. Therefore, it is currently only possible to estimate the damage; further, the development of appropriate counter measures is complicated by the lack of tangible data. But even if exact figures are missing, rough estimates do not give bad presentiment. 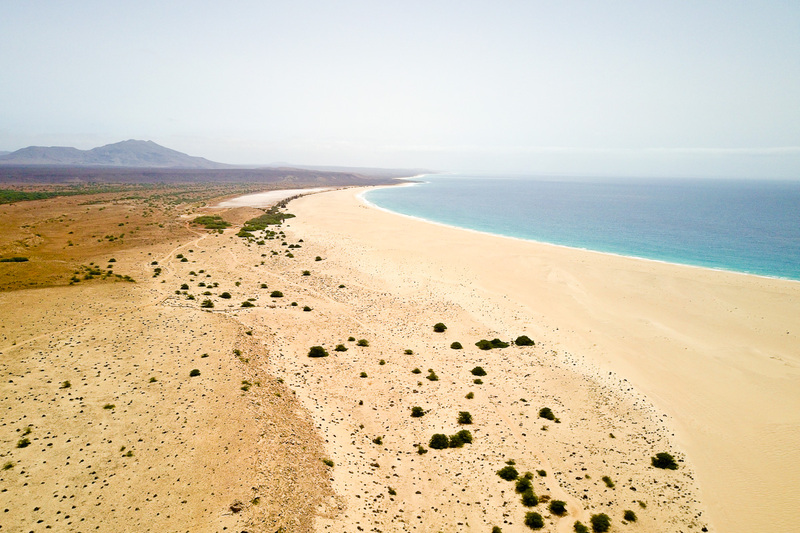 The situation seems to be particularly devastating in Cape Verde, where the Turtle Foundation is working to protect endangered sea turtles. 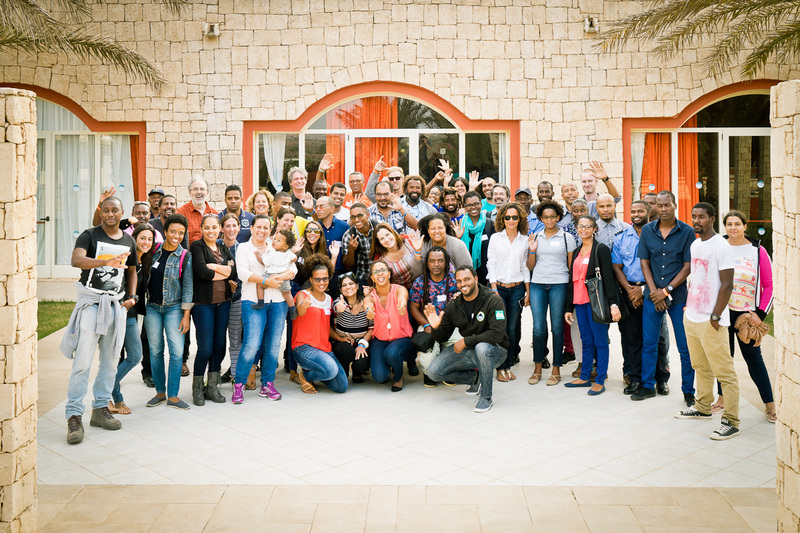 Cape Verde is the only West African country that does not even send local fishery observers to foreign vessels. And this is where the EU comes in the game, because industrial fishing in Cape Verde is primarily carried out by the European Union – subsidised by European taxpayers’ money. Tommy Melo from the local conservation organisation Bisofera 1 has given us insights devastating the problem actually is: In a paper published in 2013, which is basing on interviews with local fishermen who have worked on EU vessels, his father José and he explain how European longliners massively endanger the population of sea turtles and also sharks in Cape Verde and other West African waters. 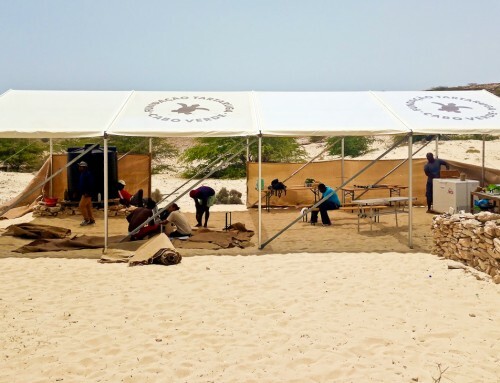 The loggerhead turtle population nesting on Cape Verde appears particularly affected. During the evaluated period, more than 70 EU vessels were authorised to fish in Cape Verdean waters in three to six months per year, 35 of which using the particularly problematic longline method. Based on the results of the interviews, the authors calculated that about four sea turtles, mostly loggerhead turtles, are caught per longline set, of which usually one to three take place per day. Most turtles were already dead when they were hauled on the ships. If the animals were still alive, they were either killed or thrown overboard together with only cut off hooks – because the professional removal of the hooks simply costs time and money! And to complete the scandal: Sometimes even the meat of sea turtles was sold illegally in the ports of Cape Verde! It is easy to calculate from these figures that tens of thousands of sea turtles are likely to die in West African waters every year as a result of the activities of these EU-financed fishing fleets. This is posing a very significant threat to the survival of this already highly endangered animals. What is the Turtle Foundation doing – and what can I do? The bycatch problem in industrial fisheries is, of course, not new to us. However, its true scale, and in particular the deep involvement of the European Union, has really shocked us. Therefore, we want to do all we can to raise public awareness of this scandalous situation – and to urge the responsible European politicians to initiate necessary changes as soon as possible. Firstly, it is essential to tighten up the regulations against mass bycatch, which have been completely inadequate to date. All vessels must have independent observers on board who record any misconduct and also have the power to take regulatory measures to ensure compliance with fisheries rules and to prevent damage to marine ecosystems. Further: Mauritania alone receives 60 million Euros per year from the European Union in taxpayers’ money to allow EU industrial fishing vessels to fish in its waters – but we must not allow that this way the EU finances the extinction of sea turtles and other species in West African waters! At the moment we still lack the means for a comprehensive campaign. If you would like to support us, you can do this through a donation and of course also by sharing our contributions on this page or via Twitter and Facebook. We would also like to recommend a website of BirdLife, who have been doing great educational work, and now is providing a list of relevant political contacts: https://www.birdlife.org/oceanalert. Please use the Twitter links on this page to call on politicians to end the bycatch scandal soon, every message counts! *Tommy Melo has presented an important work with frightening results on bycatch of sea turtles in Cape Verdean and other West African waters, which can be found at www.seaturtle.org/mtn/archives/mtn138/mtn138-6.shtml. 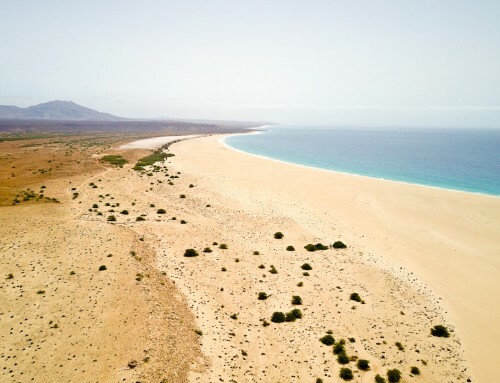 More about Tommy Melos conservation projects in Cape Verde at www.biosfera1.com.